We always respond to mail and I immediately handwrote a reply and sent it the old-fashioned way in a real envelope with a stamp like the young boy did. He said he was in the third grade and loved music. I told him I started playing music in the fourth grade. 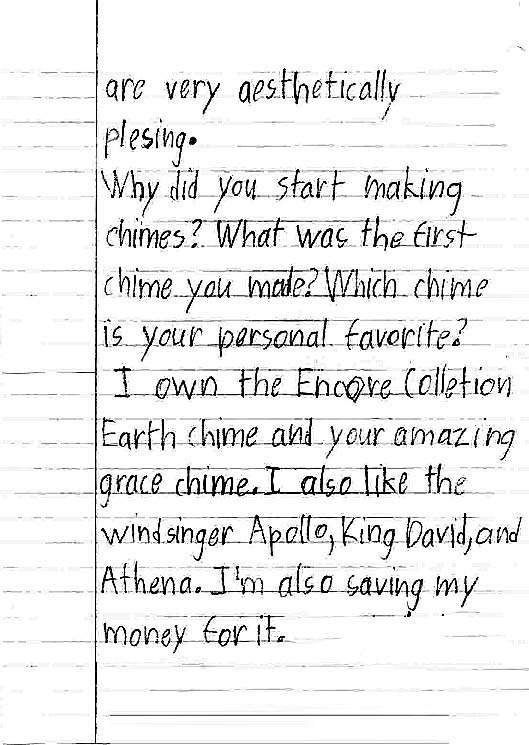 In answer to his question about my favorite chime, I wrote that I like them all but I especially like the first one, Chimes of Olympos, since it is tuned to a beautiful ancient Greek scale from the seventh century BC. 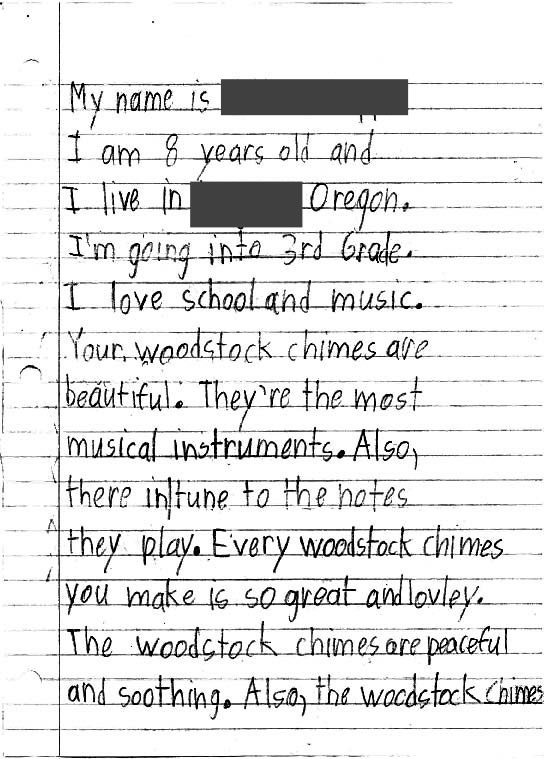 I suggested he watch Chimes for Autism: Tyler’s Story on our website, a video about another young boy who loves Woodstock Chimes. He’s about the same age as Tyler was when the video was filmed. I complimented him on his writing and urged him to enjoy school. It gives me hope for the future to know that optimistic youthful expression is alive and well!